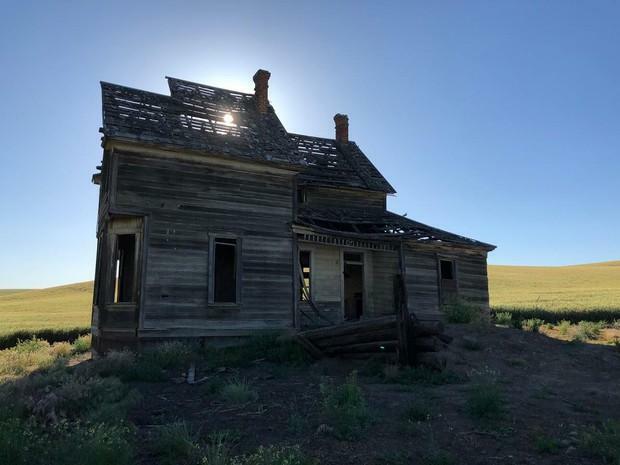 By spring of 2018, rumors on the Abandoned Oregon site and word of mouth within the photo community was that the fate of the most-photographed (and arguably most beloved) Nelson House farmstead was uncertain. The threat: the photographers themselves. The Nelson House had become too popular. 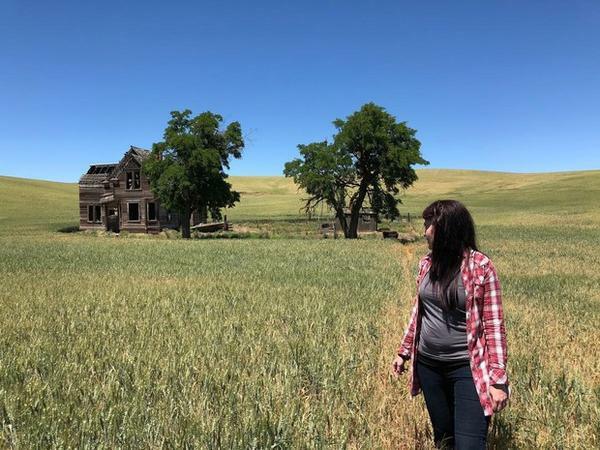 Although the primary community rule of the Abandoned Oregon site is not to reveal locations, the secret had gotten out. Social media had spread and hashtaggers had arrived. Some respected the two “No Trespassing” signs nailed to the barbed wire fence. Others didn’t. Inside the homestead were “glow sticks”— a telltale sign that someone had come to take nighttime shots of the house with the wash of stars behind it. Luckily there were no signs of graffiti or vandalism. 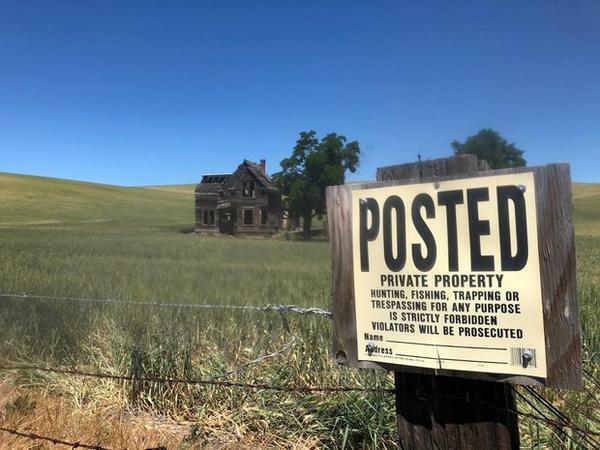 But the rumor was that the landowner was getting sick and tired of trespassers, and that he might level the empty home. I had seen photos of the Nelson House, and like many others, felt compelled to see it in person. Having stood a century, it seemed it would stand another 100 years. Now the timing felt urgent. I didn’t want to just show up. In fact, I didn’t actually know which rural road to turn down to find it. I would need two things: a guide to take me there and permission. On a clear June day, I met up with Denham. I had a surprise for her. With me was 90-year-old Ellen Simmons. She had firsthand knowledge of the Nelson House to share. We stepped through the barbed wire fence and across the wheat that was already knee-high, ripening for harvest. In previous visits, Denham had taken photos from the road. Like many of her friends and colleagues, she’d respected the no-trespassing signs. For the first time, she had permission to get up close. The house once belonged to Simmons’ aunt and uncle, Orma and Charles Nelson. 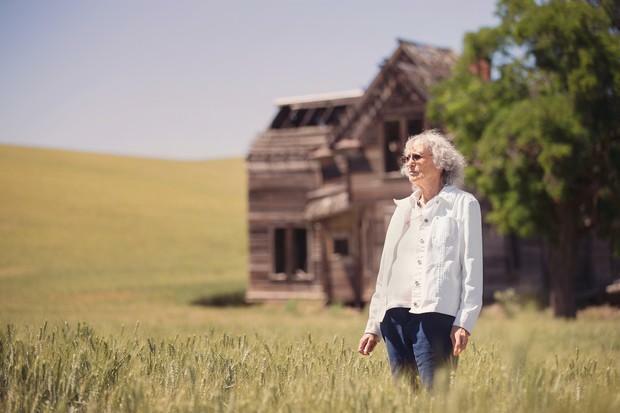 The land had first been homesteaded in the late 1800s, and then passed through several owners until newlywed Charles and Orma made it their home in 1927. Simmons had a small faded photo to share with us. In it she is standing on the front porch of the house. She’s 1 year old. On the back is written: “November, 1929." Just a week or so before the photo was snapped, the stock market crashed, plunging the nation into the Great Depression. Charles Nelson didn’t just work his own land. He also kept several other farms in the area going, as well. When he needed to tend to another, Simmons’ grandparents moved to the Nelson House to keep it running. They had chickens for eggs and meat, a cow or two for milk. It was Simmons’ job to sit on a footstool in the kitchen and churn the butter. We stepped into a large, empty room. Our feet crunched on plaster that had fallen from the ceiling. 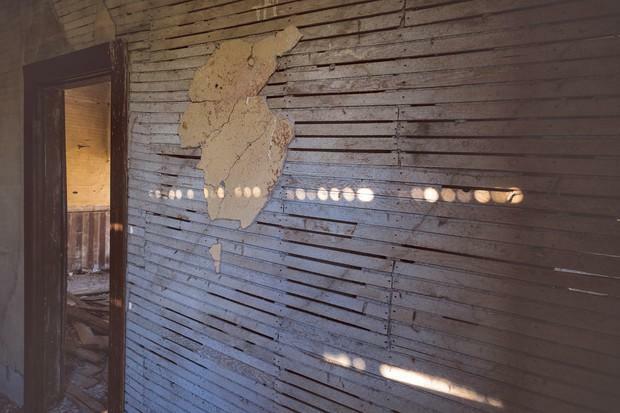 My eyes saw the exposed lath, the weathered wainscoting. Simmons saw the place her grandma once sewed quilts. She saw where the large table used to be that they’d gather around for meals. The wind made a low whistle through the warped window sashes. Through the window, we saw the sun turning the wheat fields golden and illuminating the snow-capped summit of Mount Hood in the distance. Denham and Simmons sat together in a windowsill of the Nelson House. For Denham, this was the moment she’d longed for. So many times she had tiptoed into abandoned places, and could only guess at the stories. 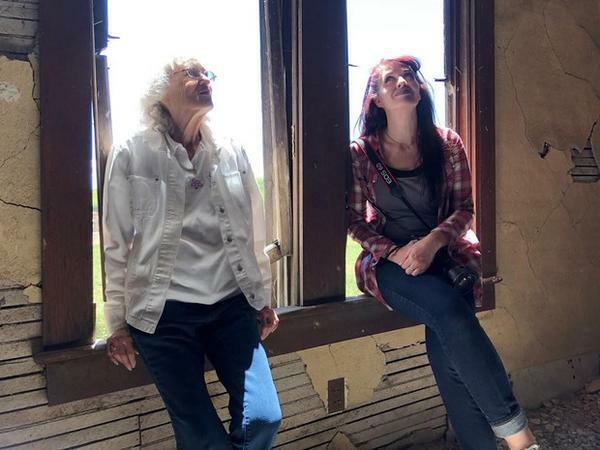 Both women paused and listened to the wind, and the gentle creak of the old boards. Just then a pickup pulled up and a man got out. He walked briskly toward us, and we got that panicky sensation of being in trouble. The man was Will Ford, a wheat farmer who works this land. I’d spoken to him on the phone and gotten the permission to enter his property. When this was confirmed, he relaxed. I got a chance to ask him directly: Are you considering tearing down the Nelson House? He shook his head. “I’d sure hate to see it gone,” he said. Although the trespassing had been disrespectful, it actually wasn’t his biggest concern. More, he worried that someone might get hurt. Especially if they ventured into the house’s second story. “Just be careful,” he said, as he turned quickly as he came, and headed back across his wheat field to his truck. He had work to do. 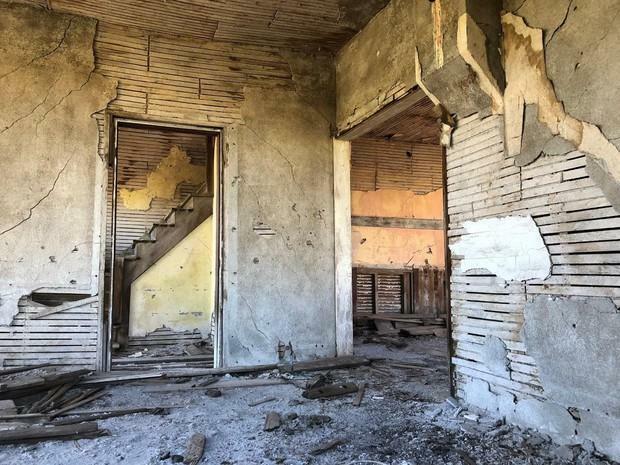 Although the rumor of the house getting torn down wasn’t true, we still felt an urgency to our visit. “Whatever happens to it, this could be my last chance to be here,” Denham said as she snapped photos. “This could be my last chance to document this piece of history." “Well I am certainly glad I got to come because this is probably the last time I'll ever see this house again,” said Simmons. The setting sun peeked through the roof. Wind had peeled back the cedar shakes, leaving only the weathered battens. As day turned to dusk, it was time to head off. We said goodbye to the Nelson House. We didn’t know it truly would be the last time. Just a few weeks after our visit, the Substation Fire broke out near The Dalles. The high winds of the Columbia River Plateau quickly fanned the flames across the dry wheat, tall and yellow at the peak of its harvest. 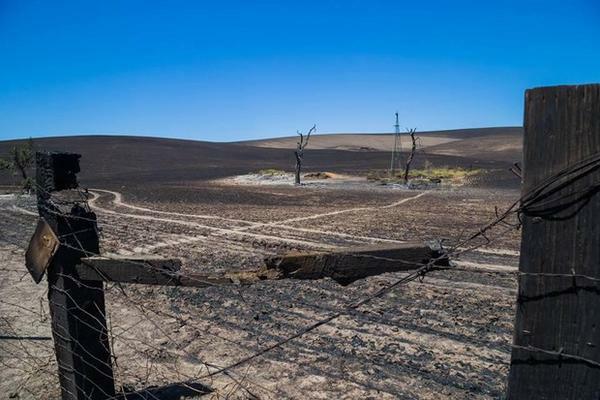 It claimed more than 78,000 acres and took the life of a farmer as he tried to stop the fire’s spread. It also took the Nelson House. 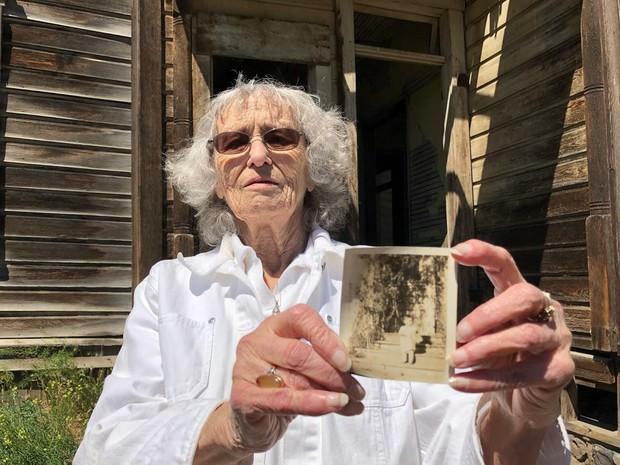 Back in Portland, Denham sorted through her photos, the last records of the Nelson House. Tiny details like doorknobs and peeling paint, the reflection of sunlight slanting on cracked plaster. I recalled our last moments at the Nelson House, stepping out of it, and turning back to look at it. 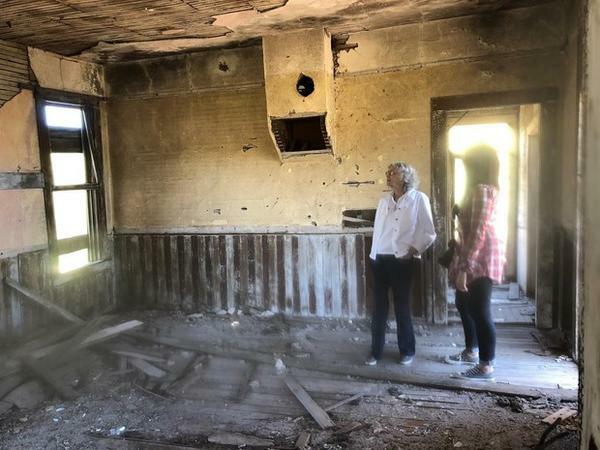 “What would you like to tell this house before it's gone?” I had asked Simmons. 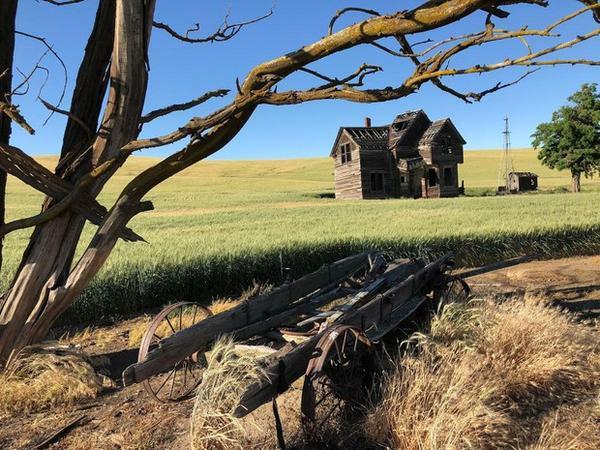 As we left the Nelson House the last time, we stopped to catch it from the most famous photographic vantage point, and how it will now always be fixed in time: the gnarled tree, the collapsed wagon in the foreground, the house, and hills behind, rolling off into a vastness of open land.